Product #20779 | SKU 4080-BM | 0.0 (no ratings yet) Thanks for your rating! For speech reproduction in broadcast, conference & live applications. 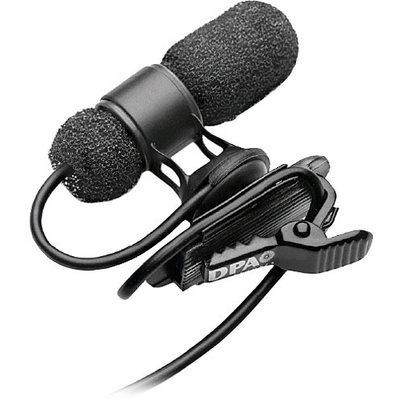 The black d:screet mini 4080 Miniature Cardioid Lavalier Microphone with a Microdot Termination from DPA Microphones is designed for speech reproduction in broadcast, conference, and live applications in the studio or the field. It features a pre-EQ'd 4dB presence boost to help accentuate vocals and the speaking range. The 4080 can be clipped to both left- and right-buttoned shirts and includes black and white pop filters.